If you think my ban-ban cookies is all to the ban-ban craze, you're wrong! 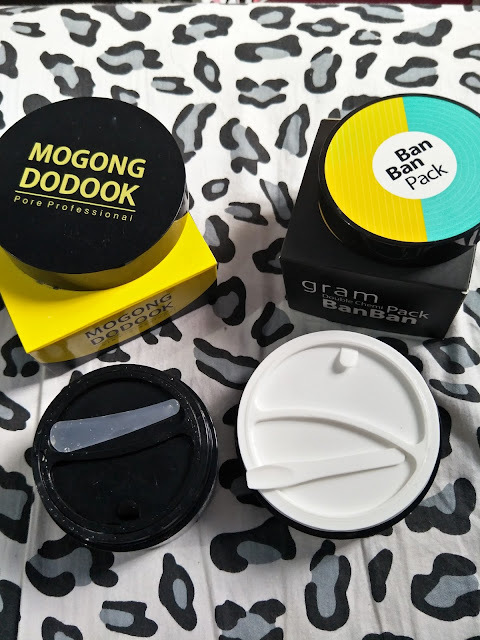 Apparently, the Koreans has also allowed the ban ban trend to take over their skincare scene. 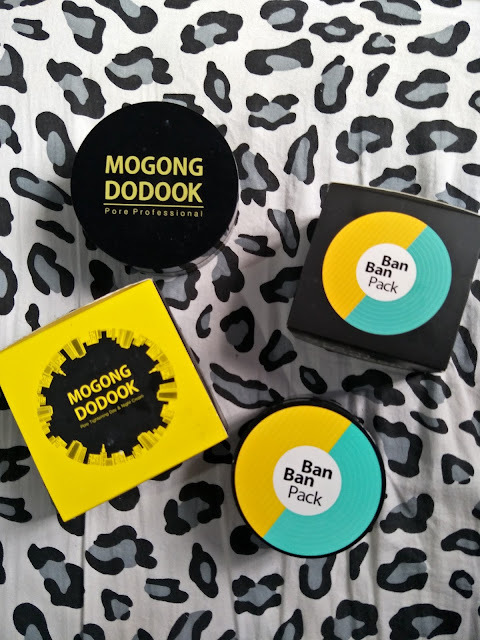 To join in the trend, I decided to pick up two more ban ban items on qoo10, Gram Double Chemi Ban Ban Pack and Mogong Dodook Pore Professional Ban Ban Cream. Both comes in a handy tub with two separate sections for each product, along with a spatula for more hygienic usage. The Mogong Dodook comes with a pore tightening pudding gel-like texture day cream, and a moisturising whipped cream texture night cream. You can use them separately as a day and night cream, or mix them up in proportion suitable for your own skin type like I do. 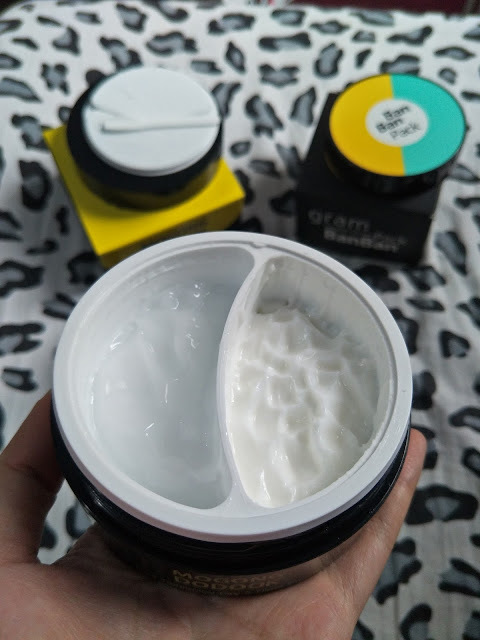 Packed with tons of good stuff like gold extract, lotus extract, witch hazel extract, lemon balm extract, marine collage, baobab tree extract, hyaluronic acid and argan oil, this day & night cream boast of much anti-aging, pore tightening, whitening and moisturising effects. A mixture of 2 night - 1 day cream for the night leaves my skin well nourished and feeling smooth and supple the next morning when I wake up, while a mixture of 2 day - 1 night cream for the day keeps my skin well moisturised and keep my face relatively oil-free throughout the day. There's also a very subtle, pleasant citrus-lemon scent that invigorates your senses. This banban wash off pack comes with two "flavours", green tea for our T-zone and pumpkin for our U-zone. The idea of this product is that most ladies actually suffers from oily T-zone while their U-zones are generally more dry and lack hydration. The green tea clay mask helps with deep pore cleansing, reduces our oil & sebum, and also reduces appearance of our blackheads. The pumpkin cream mask helps to moisturise our skin, firms up our skin and provide nutrients while reducing dryness and sensitivity. Well, I have very oily chin (speckled with tons of whiteheads) hence I chose to use the clay mask on my chin as well. Rather than helping to reduce appearance of blackheads, I find that the green tea mask helps to "pull out" the blackheads, making it easier for us to remove them, either by following up with a pore strip or just using blackhead remover stick to lightly scrap through. My entire face always feels super smooth and thoroughly cleansed after each use. 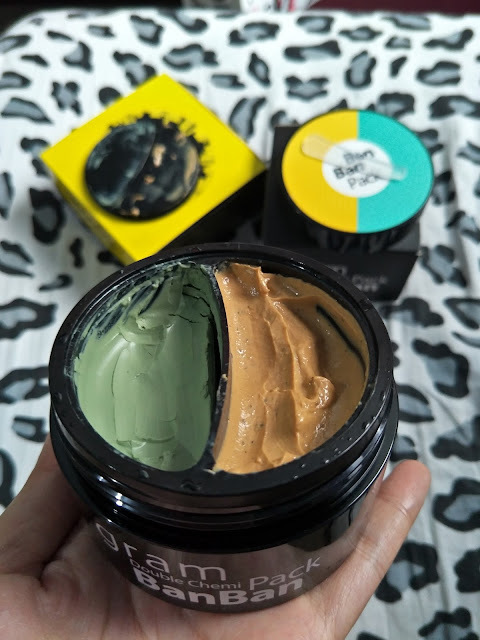 Best part is, you only need to wait for 15 minutes for the mask pack to do their work, hence it's a super quick and easy fix for your skin. The name was a curious thing. 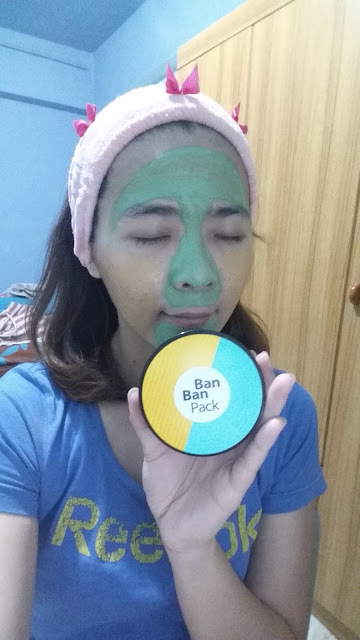 It turned out to be a beauty product. I'm not too adventurous with beauty products but I am on the lookout for safe ones. Night creams are a definitely a priority.